Since November 2017, the Strefa WolnoSłowa team has been leading creative workshops for migrants and Polish citizens in the Targówek Refugee Centre, forty minutes away from Warsaw’s city centre. 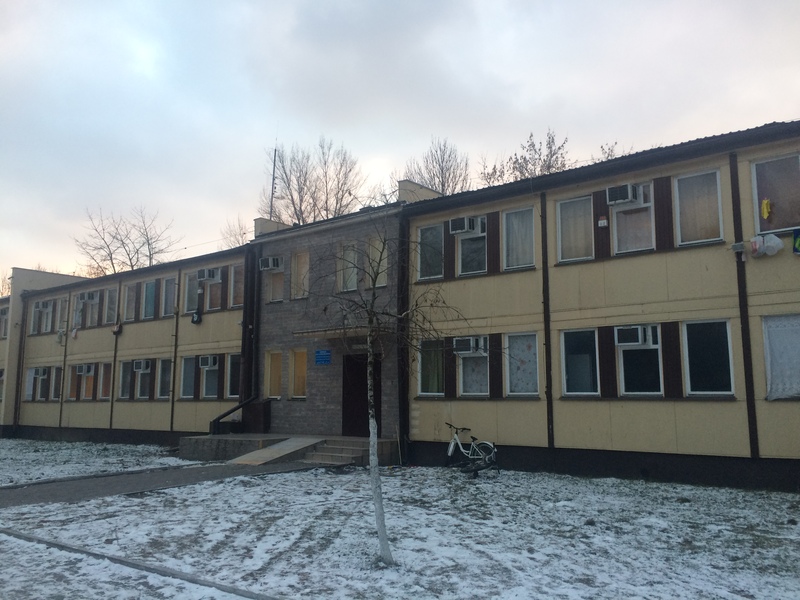 The Centre, which has been designed specifically for women and children, provides hospitality for the migrants who are waiting for the conclusion of the procedures related to their asylum status request, according Poland’s law. The workshops, which run once a week, on Tuesdays afternoon, have been organised as two independent slots of activities: the first will end at the beginning of March while the second in June 2018. The leaders of these two workshops have different professional backgrounds and will thus employ specific artistic methods of work. Interestingly, the group of participants changes across the weeks. For instance, there are a few women who come regularly; there are then many newcomers every week. Our intent is to let the group open for the whole duration of the project, as we would like to include the so many newcomers who often join the centre. The creative activities we organise are dynamic thanks to the characteristics of the centre as well as the personalities of the asylum seekers we involve. However, since women with children cannot always participate in our sessions, mainly due to their children’s needs, we had started thinking about how to facilitate their presence there. During the same hours in which the workshop is planned, we have settled a few animation activities for children – although this does not always ensure the full participation of women. The workshops, therefore, are as flexible as possible and seek to involve children as well, who can participate together with their mothers. 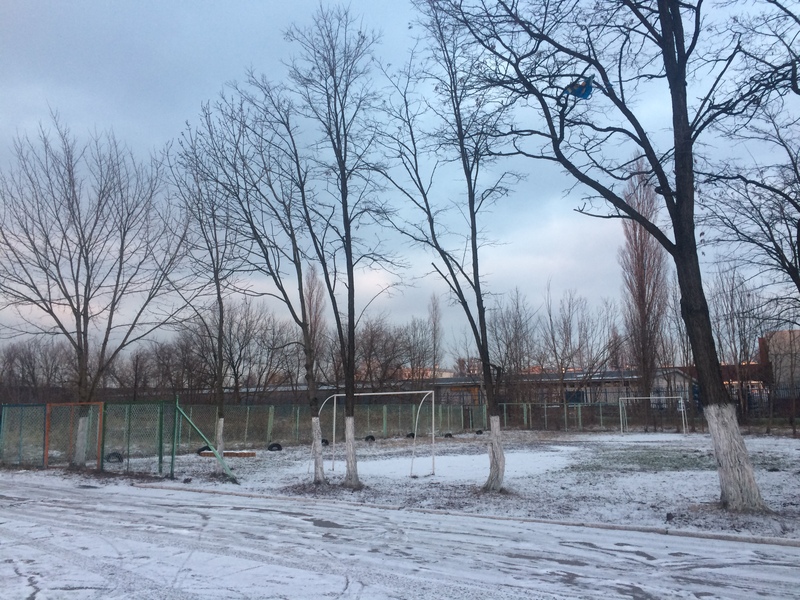 In January, after a few months of activities, we have already noticed how the project actually influences women’s behaviour and everyday life in the centre, where they so find some time and space for themselves. This has become the first and the most important goal of the workshop. We also provide them with the tools that help them relax and that they can use anytime they need. The workshop’s activities are in fact based on body movement and dance improvisation as well as creative writing and collective readings of poetry. 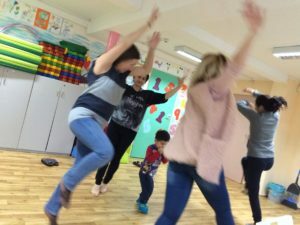 All the participants reply to dance and body exercises is a very active and enthusiastic way, whilst our work on poetry enables and helps them learn Polish language. Indeed, the workshops, which are led by two professionals who work independently from each other, are in Polish most of the time, although the majority of the participants is made of beginners in Polish. They in fact speak Russian and English, since they come from Cecenia and the countries of the ex-soviet bloc. Strefa WolnoSłowa (SWS) organizes theatrical, artistic, cultural and educational activities focused on intercultural dialogue and themes connected to migration. Through international art projects and interdisciplinary activities involving refugees and immigrants living in Poland, SWS facilitates intercultural dialogue and promotes European integration and human rights. SWS is interested in analysing current events in the world, as well as exploring innovative methods of cultural animation and multicultural education. SWS collaborates with theatres, public administration, schools, cultural centres, and NGOs in Poland and abroad combining in their activities art and social involvement with a focus on the activities that encourage increased participation in cultural and social debates.